The Limp on a Limb design is hand painted onto 13 mesh Mono needlepoint canvas. The abstract, graphic design features a cat asleep on a tree limb and is in colors of orange green white and black. The needlepoint design area measures 12" x 12.25". This Charley Harper Limp On A Limb needlepoint is sold canvas-only or as a kit. We use Planet Earth luxury fibers for orders requesting wool or silk threads and DMC embroidery floss if cotton is selected. If you require stretcher bars to hold your canvas taut while you stitch (this is optional and you can absolutely stitch this in hand) we recommend two pair of 16" and some thumb tacks. Shipping is free within the U.S. for orders of $ 100 or more. 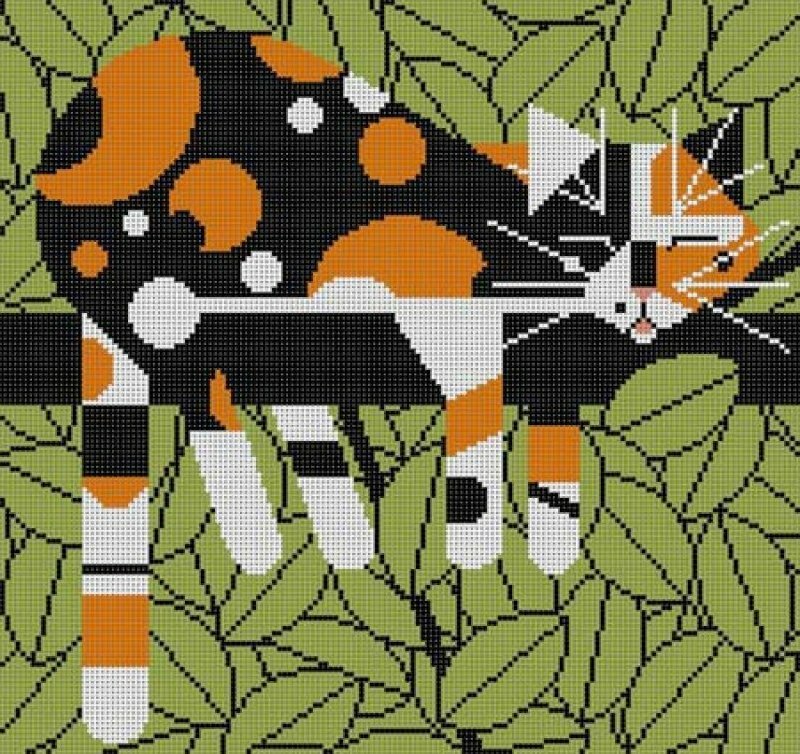 This Limp On A Limb Charley Harper needlepoint canvas usually ships in a few days. You can always check availability before you order.